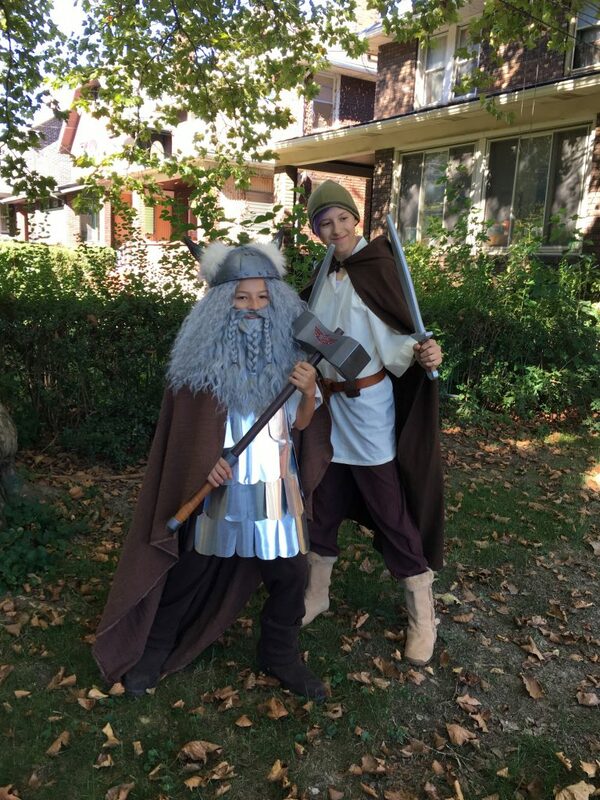 The kids aren’t allowed to get wooden weapons at the Renaissance Festival, because then I don’t get to make them. 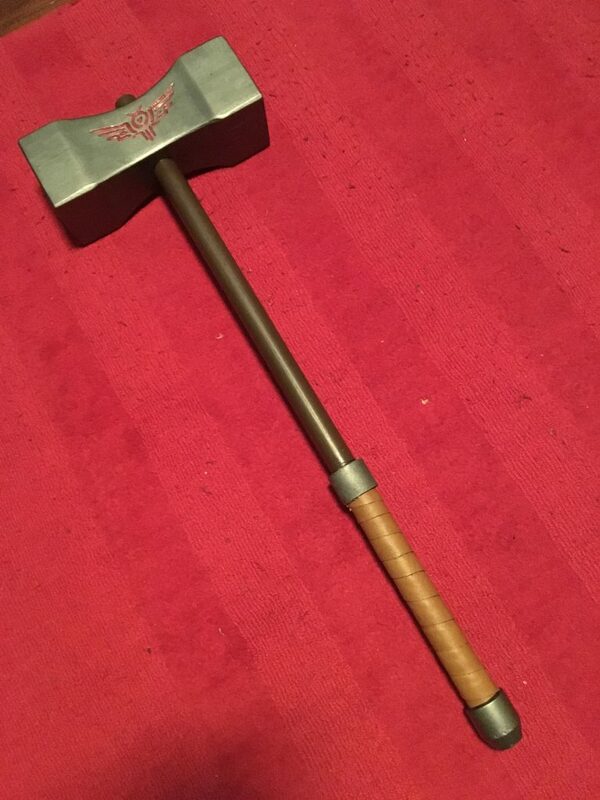 A wooden hammer (maul) prop I made for Ezra’s Dwarf costume. Wooden curtain rod, pine wood head, craft foam and fake leather on the handle. 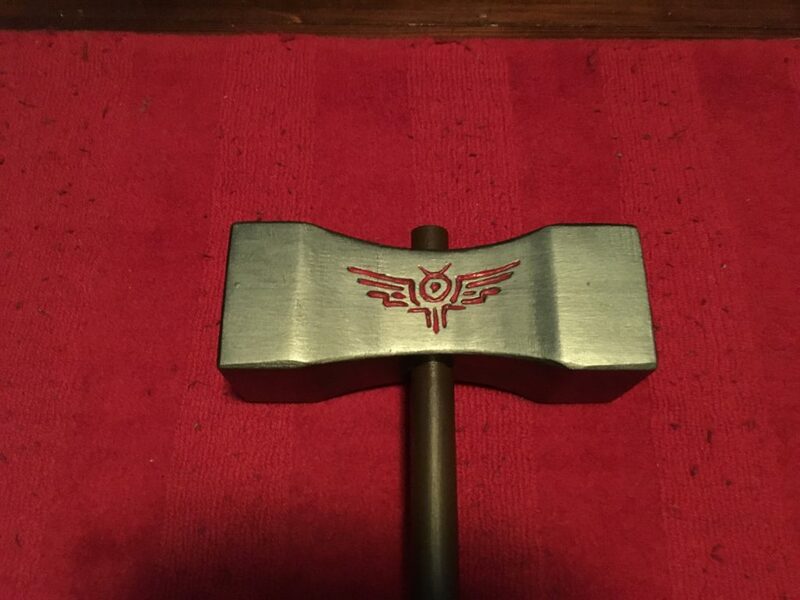 Details of the hammer head show the Gunnerkrigg Court symbol carved into the side of the head, just as Ezra requested. 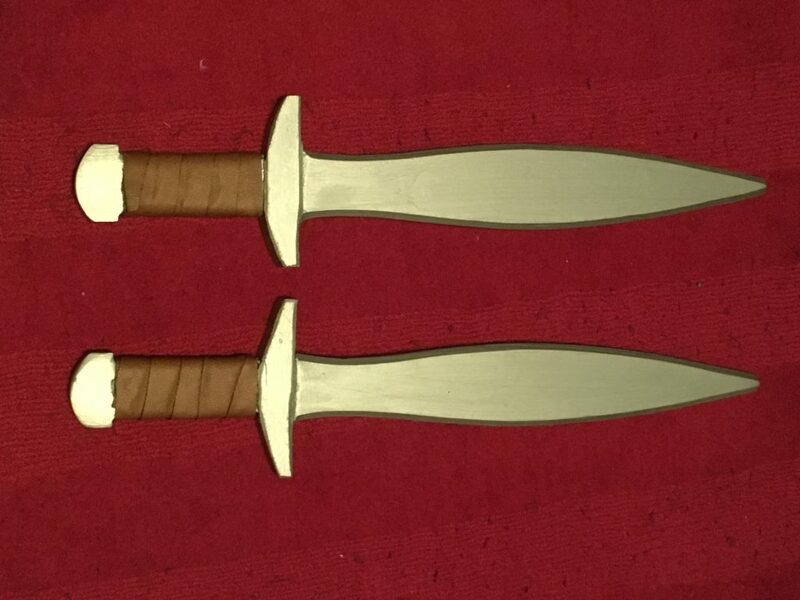 Short swords for Martine’s Ranger costume. Pine board blades, and masonite reinforcement at the hilt. Handles wrapped with pleather.